Gold pause. Then what? Watch the US dollar and rates. 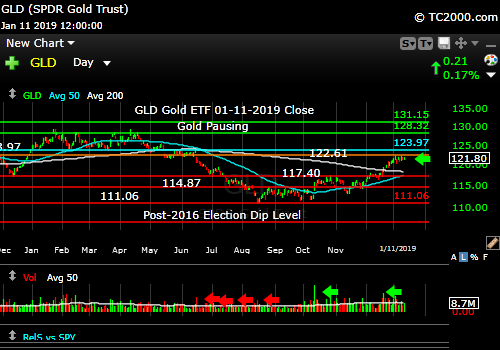 Market timing the gold ETF (GLD). Gold trend is pausing but not done yet.